UMYU 2nd Convocation Ceremony Date for Graduands and investiture of the chancellor has been scheduled as follows. UMYU 2nd Convocation Ceremony Date. 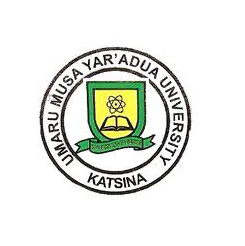 ON BEHALF OF THE GOVERNING COUNCIL AND SENATE OF UMARU MUSA YAR’ADUA UNIVERSITY KATSINA, THE VICE-CHANCELLOR PROFESSOR IDRIS ISA FUNTUA, WISHES TO INVITE PARENTS AND GRADUANS OF THE 2012/2013, 2013/2014, 2014/2015, AND 2015/2016 ACADEMIC SESSIONS TO ITS SECOND CONVOCATION CEREMONY. That's the information reaching us concerning "UMYU 2nd Convocation Ceremony Date 2017".